Take the next step. Reach for the next handhold on the mountain of life. Keep growing. Keep practicing. Keep dreaming. Keep your goals in mind and look at them every day. Work hard. Celebrate your achievements. Always learn from your mistakes. Set new goals. Crush those goals. And then keep going. And then do it again until you get it right. Be relentless. Be amazing and have a great Monday! 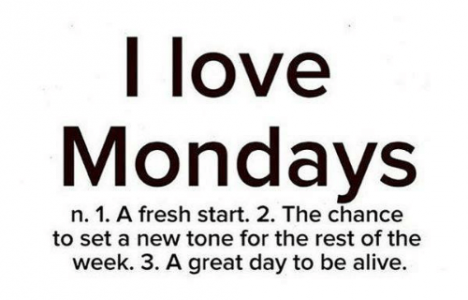 Previous Post I love Mondays! Next Post Today you are you!